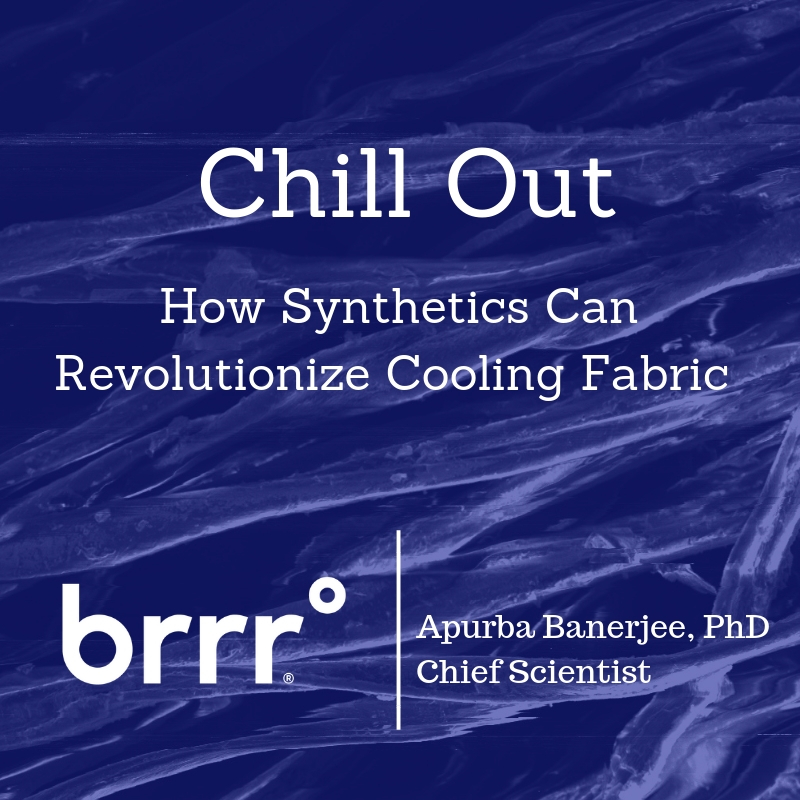 brrr° Chief Scientist Apurba Banerjee, PhD, is delivering a compelling presentation today about how synthetic fibers are revolutionizing cooling fabric. Banerjee is featured as the second speaker at the fall conference in Charlotte, North Carolina. hosted by the Synthetic Yarn and Fabric Association (SYFA), a non-profit trade group that represents suppliers and manufacturers in the synthetic fiber industry. In her talk titled “Chill Out,” Banerjee explores advances in synthetic fibers such as thermal regulation through nano structures and recycled polyester. Banerjee also discusses some misinformation in the marketplace, with some products being labeled as “cooling” when in reality they only wick away moisture. “The term cooling should be reserved for fabrics that actually draw away heat,” Banerjee says. brrr° uses natural cooling minerals embedded right in the yarn combined with active wicking and rapid drying to create a Triple Chill Effect that is instant and permanent.